Maricopa County Sheriff’s Office (MCSO) Implementing (Using) ORAL I.V. Hydration Support Fluid as Combat/Tactical Hydration Aid Department-Wide, Including SWAT | DefenseReview.com (DR): An online tactical technology and military defense technology magazine with particular focus on the latest and greatest tactical firearms news (tactical gun news), tactical gear news and tactical shooting news. ALAMO, Calif. – September 16, 2013 – The Maricopa County Sheriff’s Office (MCSO) has implemented the ORAL I.V. hydration aid product across multiple specialty units county-wide. The deployment includes SWAT, K9, EOD, HIDTA, Lake Patrol, Search and Rescue, HSU, VCU, CAST, and the Animal Crimes Unit. The MCSO has received its initial order for 1,500 ORAL I.V. four-packs and will be issuing the product to approximately 200 deputies and detectives for use in training and missions. The Maricopa County Sheriff's Office is a fully integrated law enforcement agency and serves one of the largest jurisdictions in the country, comprising 9,200 square miles and over 4 million residents. ORAL I.V. is a revolutionary hydration aid product based on a proprietary formula of crystalloid electrolytes in purified water. ORAL I.V. is intended to assist an individual’s existing hydration strategy and can be used along with water in any environment, condition or situation where physical exertion or the possibility of dehydration exists. ORAL I.V. does not contain any sugars, caffeine or stimulants, or artificial ingredients. 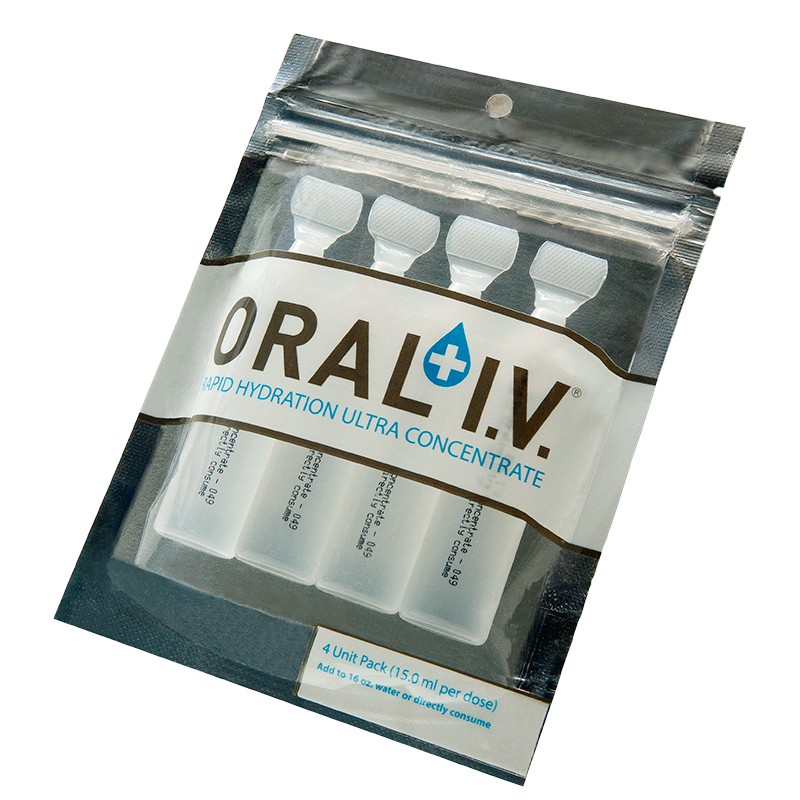 The product is packaged in lightweight, individual 15 mL vials so it can easily be included in tactical kits. Law enforcement agencies can purchase ORAL I.V. from Warrior Wound Care, the product’s exclusive distributor for the military, law enforcement and first responder markets. ORAL I.V. is also available via GSA Advantage at www.gsaadvantage.gov; reference Warrior Wound Care’s GSA schedule (GSA Contract V797D-30120) or contact [email protected]. Product information is also available at www.oraliv.com. ORAL I.V. Combat Hydration Fluid: Revolutionary Crystalloid Electrolyte Rapid Rehydration Fluid (CERRF) Rewrites the Book on Tactical Hydration/Rehydration for Military Infantry Warfighters, Competitive Shooters and Civilian Tactical Shooters! Individual First Aid Kit (IFAK): Tactical Medicine/Combat Medicine Kit for Military Infantry, Special Operations Forces (SOF) and Civilian Tactical Shooters! Previous: Harbin BZK-005 Drone Intercepted by Japanese F-15 Fighter Aircraft: Are the Chinese Close to Achieving UAS/UAV/Drone Aircraft-Parity with the United States?